Céline. I want to hear her sing her French songs. I love her French catalog. Especially On Ne Change Pas!! S'il Suffisait D'aimer is the best album. 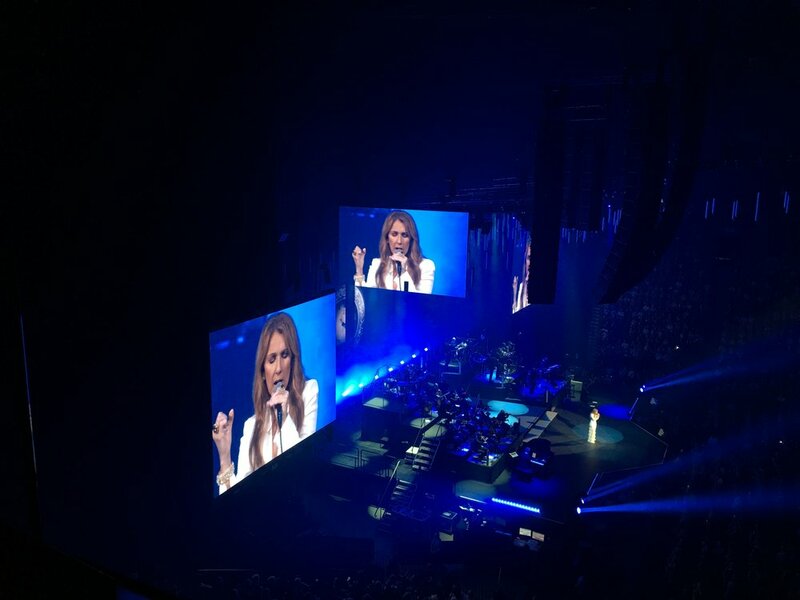 Yes, Céline, if only love were enough! She’s so pretty. Where do her dresses go when she is done with them. I want one. Red eye to New York. Definitely NOT on the bucket list. Flight delayed. Ruh-ro. We're going to be up all night. We missed our connection to Montreal. I’m getting tired. They’re going to make us wait at JFK all day, and only maybe get us on another plane. Ruh-ro. Oh wait, a flight attendant fainted just before take-off, so the plane to Montreal couldn’t depart. Hope she’s okay. Maybe she has EDS and that’s why she fainted. That was lucky. Yay for us! Arrived in Montreal. We need a nap. to escape the confines of uptight Puritanical America for the freedom of unpasteurized cheese!! I ate so much cheese, it was a long long time until I could eat cheese again. 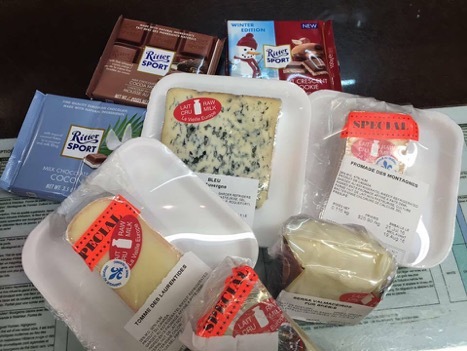 Unpasteurized cheese, and Ritter Sport I had never tried. Even better than the cheese in Montreal was the carbs and gluten. In Los Angeles, people think carbs and gluten are the devil. Wow, what bagels!! St-Viateur Bagels. Céline visited later. OMG. Chocolate bread. Better than chocolate cake. OMG. Chocolate bread. So good I could cry. At Boulangerie Guillaume. Inspired by Notre-Dame Basilica, I am moved to pray for my molecular diagnosis and for the suffering of everyone in the world wth Ehlers-Danlos Syndrome. Prayer is for the hopeless. Hey, that’s me! Céline got married here. And bade farewell to René here. Céline and René. That was a great love story. What is better in life than love. Inspired by the beauty of Québec City, I am praying in Cathedral-Basilica of Notre-Dame de Québec. Québec City is a UNESCO World Heritage Site. Wow, amazing place. Maybe I’d like to see every UNESCO World Heritage Site. Hey, I just came up with a new bucket list. The only thing I ever wanted was to get out of bed and be able live my life a little. Never thought about what might be after that. I lit a candle and prayed for my molecular diagnosis and for the suffering of everyone in the world wth EDS. 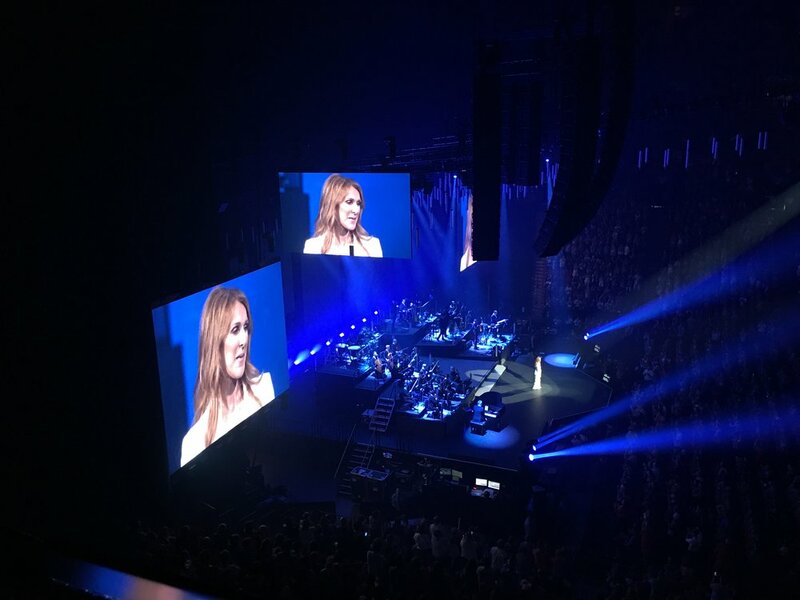 This was Céline’s first concert home since the death of René. We all cried. 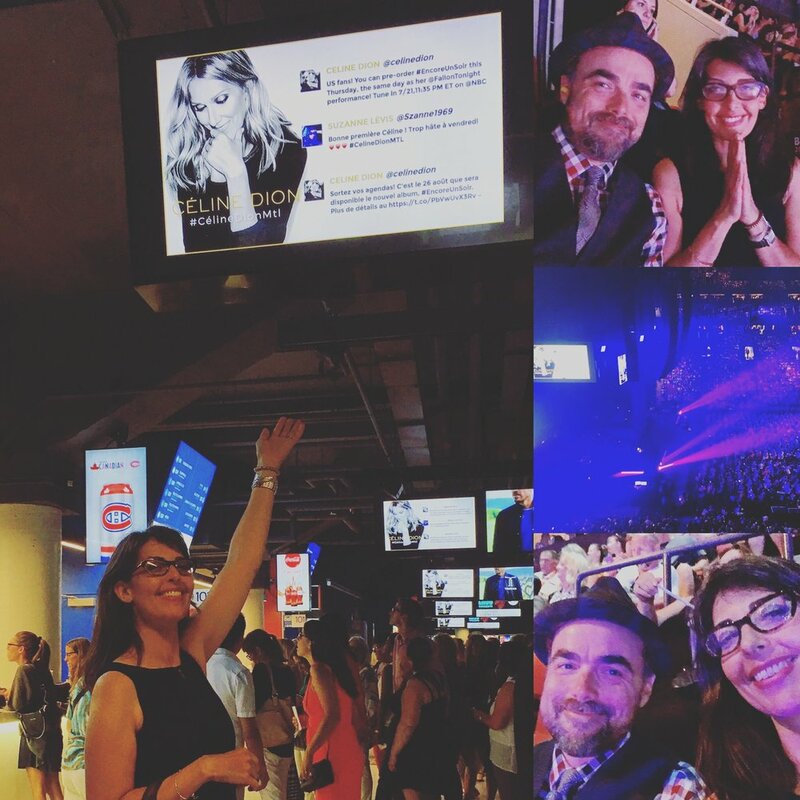 It was a lot like her Vegas show, with a few of her big French hits thrown in. Not exactly what I had in mind. But at least she spoke in French. It was great. So glad we came. Too many French Montreal women approached Mr. Pennington to tell him what great style he has. Back off, putains! It's definitely time to go home. In Los Angeles, people coldly glance at you to see if you are famous and then move on when clearly you are not. Such a ridiculous place to live.